Swift is an arm-free crutch for individuals with a below-knee amputation. With a padded lining on the inside, it acts as a convenient and easy-to-use prosthetic device for in-home mobility. 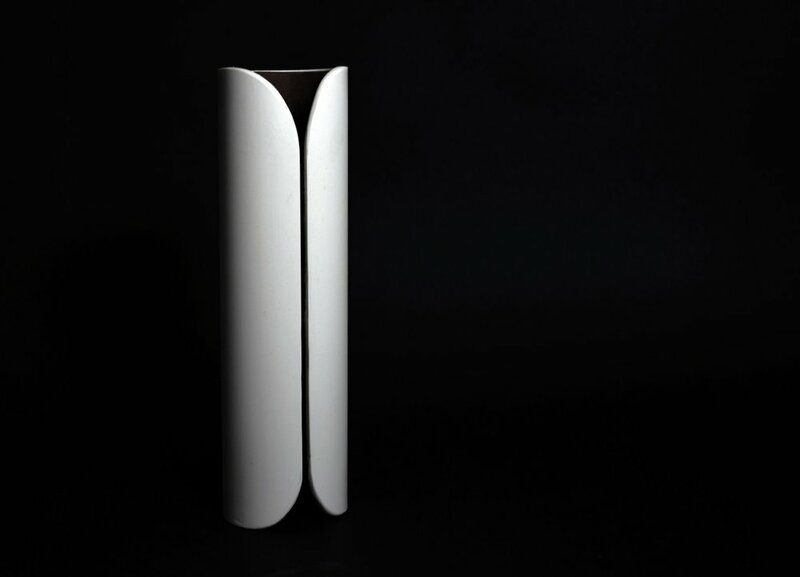 A cylindrical shape that expands based on the size of the residual limb restricts downward movement through friction. Through interviews with people who have below-knee amputations and through online research, I was trying to conceptualize products around the everyday lives of amputees. 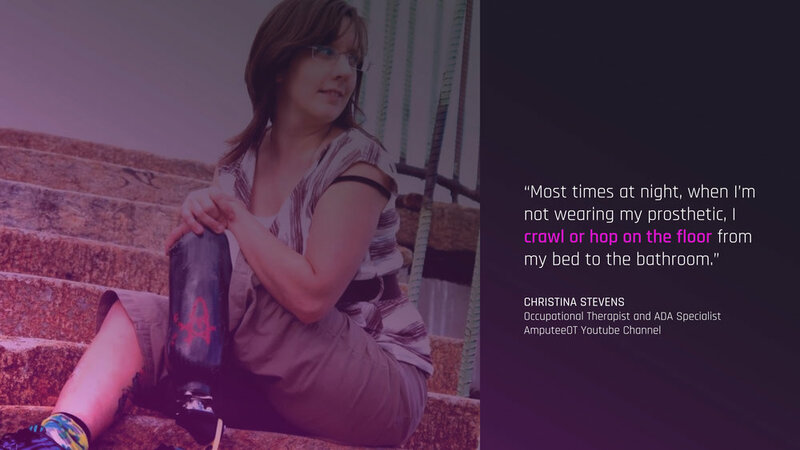 One particular insight really stuck out to me which was that amputees needing to go to the bathroom in the middle of the night, or getting a glass of water would generally just crawl on the floor to get to the bathroom or kitchen. 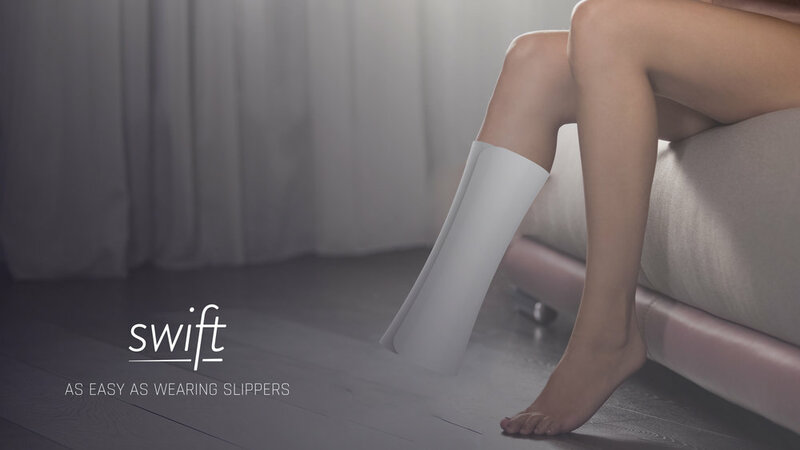 This lead me to envision Swift, which makes wearing prosthetics as easy as wearing slippers. This could be manufactured through injection molding in different sizes or potentially 3D printed by individual users. Two functional prototypes were created, one using a PVC pipe and another small-scale 3D printed version to test the mechanism.